Used Besson/Carl Fischer "New Creation" Bb cornet in silver plate. 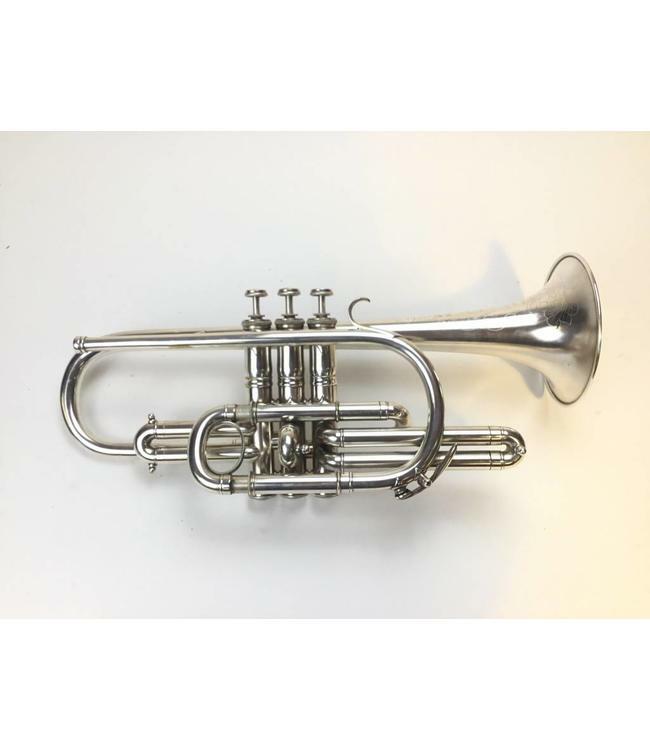 This cornet is in overall very good condition with minor plating wear at contact points not affecting playability. Comes with original case and certification from E.F. Goldman (formerly of the Metropolitan Opera Orchestra) dated September 11, 1911.